How does a simple expense report let business flow? When that expense report gives business travelers and expense approvers the freedom to work anywhere on any device with one web app that never needs updating or downloading. Your phone camera gives you the freedom to Snap and Send receipts when and where they happen with smart OCR to virtually eliminate manual data entry. 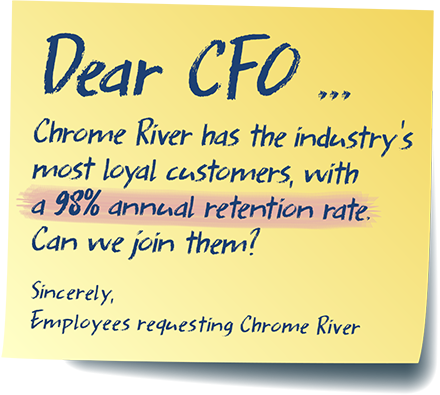 After all, your expense reporting software has to be easy-to-use and comprehensive. The expense reporting app you choose has to work as beautifully as your business travelers' favorite music app. Can one expense management software do all that? Yes. When it is architected with the very latest technologies to remain agile and fluid. 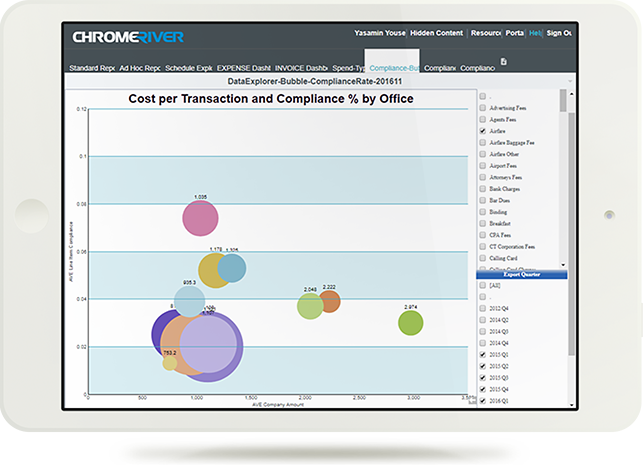 Chrome River apps are completely configurable, so your organization is afforded more choices for finance software and ERP systems, travel management companies, corporate card programs, and online booking tools. Your data integrations transform into your best-of-breed solution for your evolving business, not points of failure. 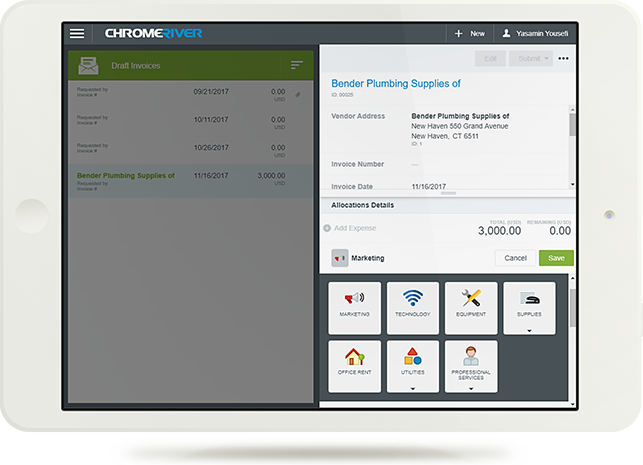 These new choices plus Chrome River’s business rules engine means an end-to-end travel and expense management solution designed to fit your business and your standard operating procedures...not your business processes tweaked and jammed into pre-defined workflows. That's expense software that works as hard as you do. The same holds true for our invoice management software. Your invoice processing workflow rules are automated to fit your company protocols. This way you have complete visibility on invoices and purchase orders around the world and around the corner. With invoices matched, routed, and approved sooner, your firm can take advantage of better payment terms and turn the cashflow to your advantage. 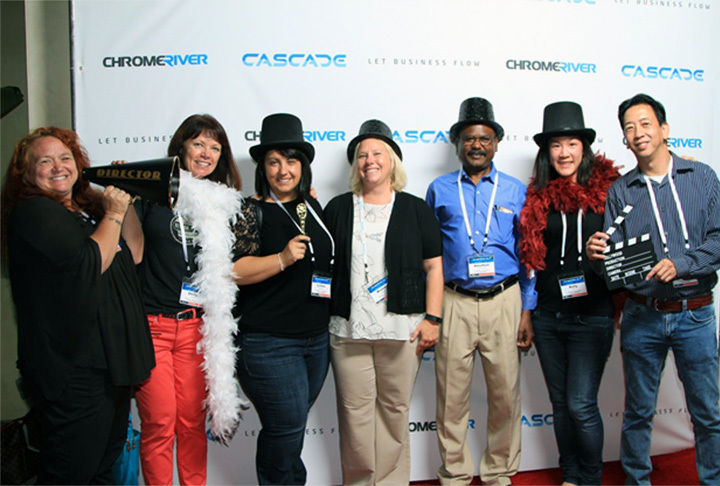 Customers around the world rave about Chrome River apps because they are so easy to use and intuitive. The user experience is designed for our new mobile lifestyle where our expense report app and invoice processing app need to work just as beautifully as our favorite music app. And we have the implementation teams, customer support, and customer success teams ready to make your organization wildly successful with the solutions. With new features introduced every two weeks, you’re never waiting for fixes or patches - and you never have to guess which platform or device has the latest features. With inline user tutorials, videos, and global tech support in your language, help is always just a click away.